A man accused of being involved in the Birmingham pub bombings has vehemently denied any involvement in the 1974 atrocity, in an interview with ITV News. Michael Hayes, who was named by an anonymous ex-IRA volunteer giving evidence at the inquests, said nobody was meant to die in what he described as a "commercial bombing campaign". 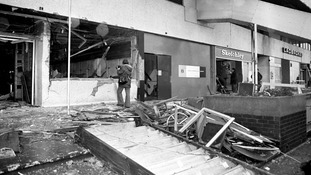 The explosions at two city centre pubs killed 21 people on November 21, 1974. Speaking in March during at the inquest into the deaths, an ex-IRA volunteer, known as Witness O, said the IRA had granted permission for Hayes and three other men, who are all dead, to be named as suspects in the attack. "I didn't do anything, I literally, I didn't do it. "I don't care who believes it or not. What's the history of the Birmingham bombings? After sitting through almost six weeks of evidence at the inquest, the 11-member jury found a botched IRA warning call contributed to the deaths of 21 people unlawfully killed in the 1974 Birmingham pub bombings. Before sending the jury out on Thursday, coroner Sir Peter Thornton QC directed jurors to find the victims were "unlawfully killed". When asked about his comrades' role in the attack he said he "doesn't have the right" to elaborate because "these men had families". When asked about the victims families and whether they are owed an apology, he said: "I owe my sincerest and absolute apologies for what happened." He added: "Now I don't ask the British forgiveness for anything and I don't blame the English people for feeling bitterness in the same way that we felt it here when bombs went off in Dublin." When asked about his involvement in the attacks, the 70-year-old said: "I didn't know things, I didn't ask things that way I couldn't say things. "There was always a threat of a man who would break in a police station. "You only knew what you had to know. " He paid tribute to the "many who were very brave volunteers that night" helping the emergency services. Seamus McLoughlin, Mick Murray and James Francis Gavin were also named as suspects by the ex-IRA volunteer. Murray, who died in 1999, is said to have called in the bomb warning at 8.11pm to newspaper telephonist Ian Cropper, giving the code word "Double X". However, jurors heard the warning had only given the locations as the landmark Rotunda building and the nearby Tax Office in New Street, making no mention of pubs, including the Mulberry Bush where the attack happened. In his evidence to the inquests, the then IRA head of intelligence in Ireland, Kieran Conway, described the victims' deaths as "accidental", in an "IRA operation that went badly wrong". The pub bombings were the deadliest post-Second World War attack on the British mainland, until the 7/7 London terrorist attacks in 2005. A botched investigation by West Midlands Police led to the 1975 convictions of the Birmingham Six, but their convictions were quashed by the Court of Appeal in 1991. Julie Hambleton, who lost her older sister in the bombings, said before the hearings that bereaved families wanted "truth, justice and accountability".